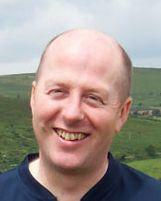 Adrian Marriott is an independent software consultant at Logos Software. Adrian has an MSc in Artificial Intelligence and Computer Programming from SouthBank Polytechnic in London, and 20 years industrial experience implementing large, fast, distributed, object-oriented systems using the C++, Java and LISP languages. He runs an independent software consultancy called Logos Software specializing in these areas. From Feb 1997 until Feb 2010 Adrian worked for Progress Software (formerly Object Design), specializing in the ObjectStore C++ database, and consulting to various blue chip companies in the Telco, Finance, Manufacturing, Government and Service Sectors; customers such as Orange, BT, CISCO, Alcatel, Swisscom, Deutsche Bahn, Misys, Reuters and many major city banks including Lombard Odier, BNP Paribas, Citigroup, Nomura, and Banque de France. Adrian works on-site with customers at all stages of their projects including; analysis, design, implementation, testing, deployment, performance tuning, and maintenance. He was one of three system architects on a two year project at the Ordnance Survey to store the entire set of UK mapping data as a single, seamless, persistent object-graph, comprising some 1 billion C++ objects, and yielding near real-time query performance. Adrian was also the design lead for the backend OODB system that powers the Tour de France website, which supports real-time updates from various TV and media sources, and regularly sustains around 6 billion page hits over the 25 days of the race, maintaining transactional consistency, and on modest hardware. Adrian has also written and delivered training courses on various subjects including: Object-Oriented Design, C++ and Java Programming, and ObjectStore Database programming. He has lectured on OO databases at the British Computer Society, to PhD students at Loughborough University and at ICOODB 2009 at Zurich University. Adrian has won the first price of the ODBMS.ORG Awards for the best Common Persistent Model Patterns in 2009.